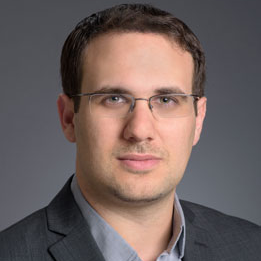 Nir Gaist, Founder and CTO of Nyotron, is a recognized information security expert and ethical hacker. He started programming at age 6 and began his studies at the Israeli Technion University at age 10. Nir has worked with some of the largest Israeli organizations, such as the Israeli Police, the Israeli parliament and Microsoft’s Israeli headquarters. He also wrote cybersecurity curriculum for the Israel Ministry of Education. Nir holds patents for the creation of a programming language called Behavior Pattern Mapping (BPM) that enables monitoring of the integrity of the operating system behavior to deliver threat-agnostic protection. Check out the incredible speaker line-up to see who will be joining Nir.